Peter J. Dyck: Mennonite Central Committee administrator, storyteller, and pastor; born 4 December 1914 in Lysanderhoeh, Am Trakt Mennonite Settlement, Russia, to Johannes J. Dyck (16 April 1885, Lysanderhoeh, Am Trakt, Russia - 11 April 1948, Rosthern, Saskatchewan, Canada) and Renate (Mathies) Dyck (2 March 1885, Hohendorf, Am Trakt, Russia - 29 May 1963, Rosthern, Saskatchewan). He was the fifth child in a family of three sons and six daughters (Peter’s older brother was John R. Dyck and his youngest brother was Cornelius J. Dyck). On 14 October 1944 he married Elfrieda Klassen (10 March 1917, Donskoye, Neu-Samara, Russia - 20 August 2004, Scottdale, Pennsylvania), daughter of Franz F. Klassen (1870-1924) and Justina (Wiebe) Klassen (1874-1933). Elfrieda’s oldest brother was C. F. Klassen. Peter and Elfrieda had two daughters, Ruth and Rebecca. Peter died on 4 January 2010 in Scottdale, Pennsylvania, USA. In 1927 Peter arrived in Canada with his parents and siblings. The family settled first in Hawarden, Saskatchewan, and later moved to a farm in Tiefengrund, 70 kilometers north of Saskatoon in fall 1933. He was baptized in the Tiefengrund Rosenort Mennonite Church on 20 May 1934 by Elder Johannes Regier. After graduation from Rosthern Junior College, Peter attended the University of Saskatchewan. Peter interrupted formal studies to pastor several struggling United Churches in Ontario. In 1941, Mennonite Central Committee (MCC) called Peter to serve victims of World War II in England, where he also met Elfrieda Klassen who separately had been called to serve as a nurse. While they were both working at Taxal Edge, a boys home, they were married in 1944 at Whaley Bridge, near Manchester, England. Elfrieda and Peter were asked to begin an MCC relief program in the Netherlands for Mennonites fleeing Russia, followed by assisting refugees in Germany. Here they were at the forefront of escorting refugees to South America (known as the "Berlin Escape") on four different voyages, twice jointly. On two occasions Elfrieda single-handedly masterminded the transport of refugees. Following the rescue of refugees in 1949, Peter and Elfrieda itinerated extensively in North America to convey stories about MCC relief programs, the refugees and their resettlement. Upon returning to North America, Peter also continued his studies at Goshen College, Bethel College, Associated Mennonite Biblical Seminaries in Elkhart, and at Bethel Theological Seminary in Chicago, where he completed requirements for a Master of Divinity degree in 1968. From 1957 to 1967, Peter and Elfrieda were based in Frankfurt, Germany, where Peter served as MCC Director for Europe and North Africa. Upon their return to North America, Elfrieda nursed at the Fairmount Rest Home near Akron. 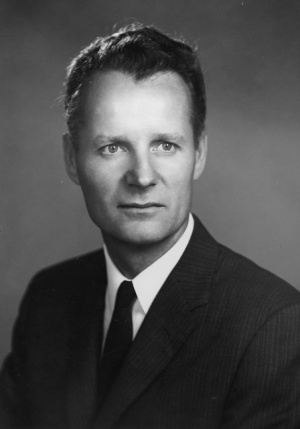 Peter became administrator at the MCC headquarters until 1981, and served as promoter of MCC and Christian service in North American constituencies. Peter was ordained as a minister of the Gospel on 26 October 1947, initially to give credence to meeting the spiritual needs of refugees. The ordination was performed by Jacob Johann "J. J." Thiessen in the Tiefengrund Mennonite Church, near Laird, Saskatchewan. As pastor, he and Elfrieda pastored the Eden Mennonite Church in Moundridge, Kansas from 1950 to 1957, and Kingview Mennonite Church, Scottdale, Pennsylvania, from 1983 to 1985. Peter and Elfrieda held dual memberships with the Mennonite Church and the General Conference Mennonite Church. In 1950 Queen Juliana of the Netherlands knighted Peter for providing relief services for refugees, and in 1974 the University of Waterloo in Ontario awarded him with an Honorary Doctorate Degree. At the banquet Elfrieda was specifically credited with having "made service luminous and attractive, as a Christian pilgrim and refugee, a healer of tragic division and a Good Samaritan in the best sense." In 1993 Peter received Goshen College’s Culture for Service Alumni Award. Peter remained resilient and true in the face of challenges and injustice, all in the interest of seeking the well-being of others. He argued his convictions in public church forums and at MCC Board meetings. In word and deed, Peter devoted himself to exemplifying the Lord whom he served, never wavering in his passion for peace, justice, service and commitment. Mennonite Central Committee Archives, Akron, PA: Interviews with Peter J. and Elfrieda Klassen Dyck, transcribed by Robert Krieder. Mennonite Church (USA) Archives, Goshen, IN: "Biographical Sketch of Peter J. Dyck" and administrative records. Mennonite Heritage Centre, Winnipeg, MB: "A Pilgrim People." Unpublished genealogy. Mennonite Church USA Archives, Goshen, Indiana: "Peter Dyck (1914- ) and Elfrieda (Klassen) Dyck (1917- ) Collection," Hist. Mss. 1-892]. Thiessen, Bill. "Dyck, Peter J. (1914-2010)." Global Anabaptist Mennonite Encyclopedia Online. October 2010. Web. 19 Apr 2019. http://gameo.org/index.php?title=Dyck,_Peter_J._(1914-2010)&oldid=138826. Thiessen, Bill. (October 2010). Dyck, Peter J. (1914-2010). Global Anabaptist Mennonite Encyclopedia Online. Retrieved 19 April 2019, from http://gameo.org/index.php?title=Dyck,_Peter_J._(1914-2010)&oldid=138826.